True wealth is more than a financial statement, it is a sense of well-being. In addition to your money, it includes your inner resources, relationships, and environment. Shifting away from profit-maximization through growth toward well-being through collaboration will bring vitality into our local economies. We are valuable beyond the measure of money. 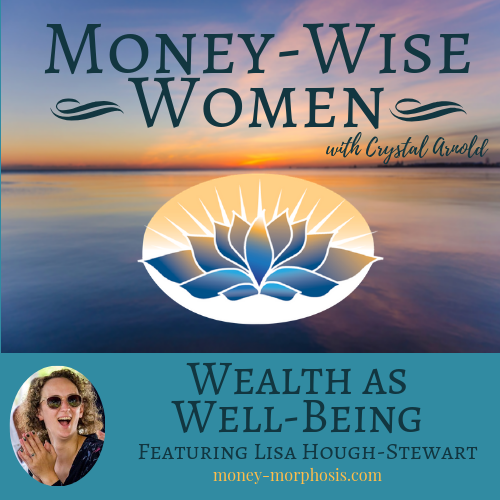 “Money-Wise Women” guest Lisa Hough-Stewart works with the Well-Being Economy Alliance and is based in Glasgow, Scotland. She shares candidly about her career path working at Oxfam and RBS (Royal Bank of Scotland). 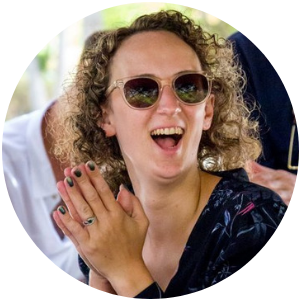 We met because of her involvement in the Free Money Day in September 2018 in New York City with Donnie Maclurcan, my colleague at the Post Growth Institute. This event surprised participants who were often initially uncomfortable being approached with an offer to take two dollars and pass one on. They gave money to strangers and asked them to pass half on! People began to rethink their relationship with the economy. A few even got involved handing out money, and others began conversations with their kids about generosity. Meaningful conversations about money were catalyzed on the street by this coalition of social innovators. Lisa speaks to the growing interest in impact investing within the banking industry. We discuss the challenges of redefining return on investment (ROI) to include more than the short-term financial gains that continue to drive economic inequality. When value is placed on the social and environmental impact, we can create greater well-being through finance. Feelings and relationships contribute to our well-being in ways that cannot be attached to a price tag. As I teach, True Wealth is a more holistic sense of our well-being. The “Index of Sustainable Economic Welfare” and the “Genuine Progress Indicator” are similar instruments used in different countries around the world. Both are based on the gross domestic product (GDP), from which they subtract costs that detract from social well-being (crime, pollution, commuting, family breakdown, income inequality) and add the value of positive but unpaid activities (e.g.., parenting, volunteering). 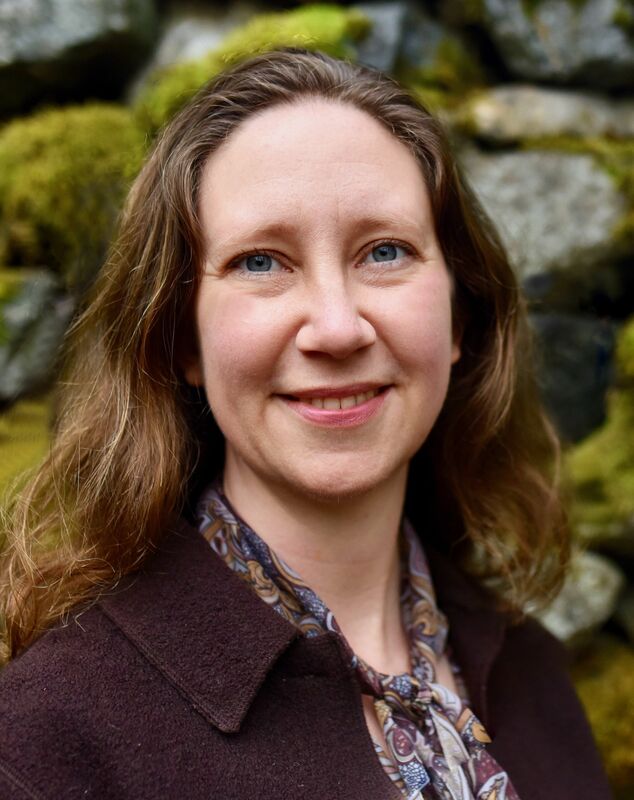 Hazel Henderson has co-created the “Calvert-Henderson Quality of Life Indicators,” a quarterly compilation of multidisciplinary statistics covering twelve non-monetary aspects of well-being and progress: education, employment, energy, environment, health, human rights, infrastructure, income, national security, public safety, re-creation, and shelter. The Buddhist nation of Bhutan measures “Gross National Happiness,” the four components of which are the promotion of sustainable development, preservation and promotion of cultural values, conservation of the natural environment, and establishment of good governance. As we make our extensive community wealth more visible through sometimes unusual activities, we become more prosperous. 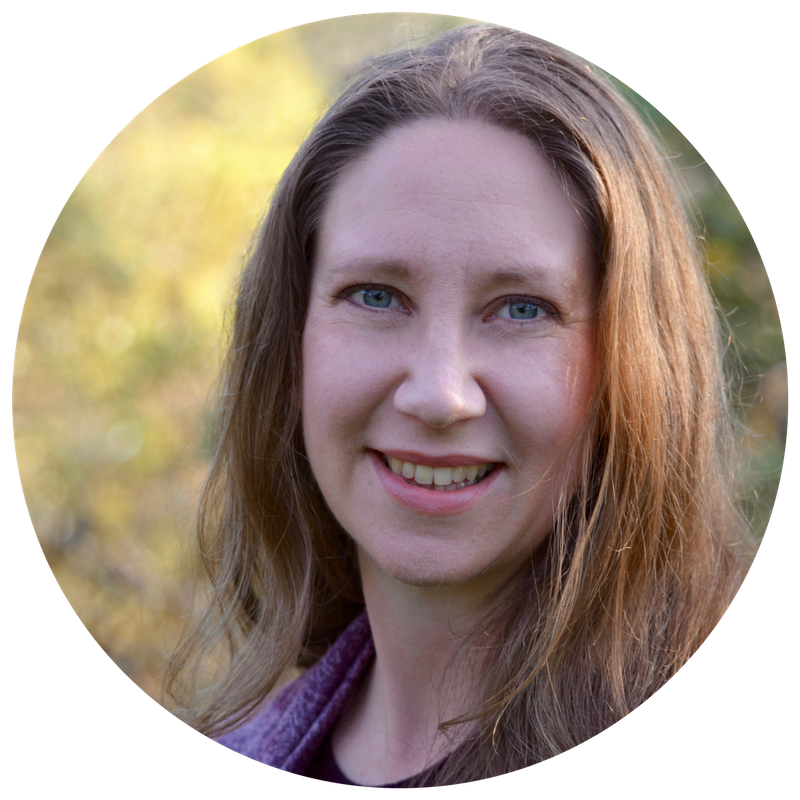 Lisa Hough-Stewart is Communications and Mobilisation lead for the Well-being Economy Alliance (WEAll). She is based in Glasgow, Scotland, and previously worked at Oxfam and RBS (Royal Bank of Scotland). WEAll has only existed for a few months, but already it has over 40 organisational members and many more eminent individuals, all working to transform the economic system into a well-being economy that serves people and planet. As Communications and Mobilisation lead, one of Lisa’s first tasks on the job was to devise a stunt outside the former Lehman Brothers building in New York on the ten-year anniversary of the 2008 crash.